Oh, my. That gives me anxiety just looking at it. Yikes! Thanks. It was a miracle for sure! Wow! Definitely a surprise for the owners. Brings back memories of a childhood flood that I went through and our house was in a similar situation, but not as high up. My dad had to get it moved, but not until we slept in it for a night. I remember walking on a slanted floor and being very scared. Your photo triggered a memory. Oh wow…! Do you know what happens to the house in the end? I’m not certain. It was still “hanging” there a year ago. 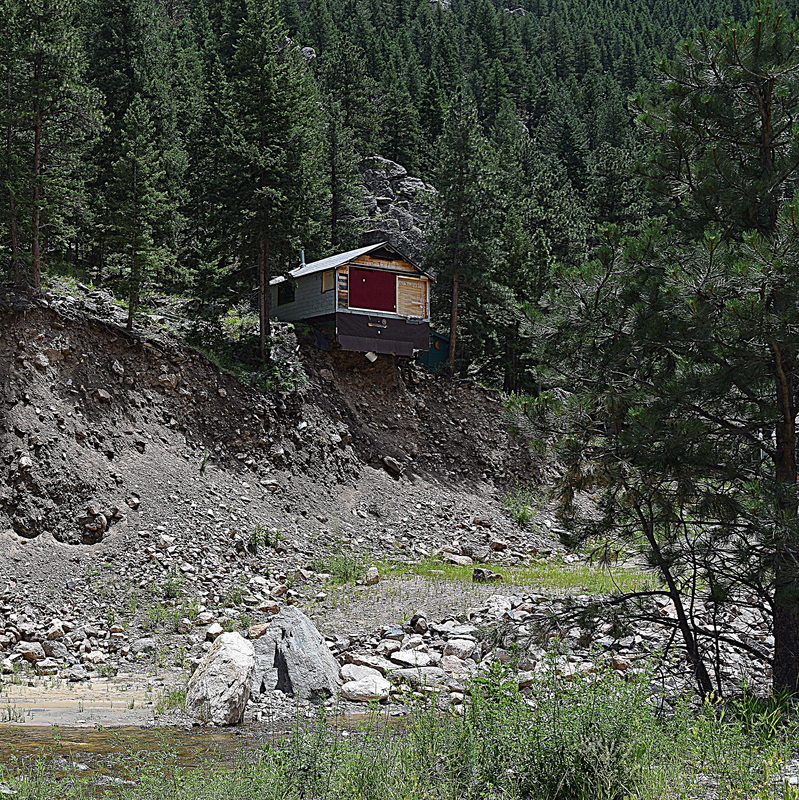 The floodwaters washed away big swaths of the mountainsides. It was incredible. That looks very dangerous. Great picture. I wonder if insurance covers house damage like that? Amazing picture.